Glue on your pom pom trim to one long end of your fleece fabric. Print and cut out the goat and bell templates. Trace and cut out about 4-5 goats from your maroon felt. Trace and cut out about 5 bells from your blue felt. Trace and cut out the bell’s accents from the maroon and blue felt. Glue on your goats, bells, and accents. Allow glue to thoroughly dry before using your blanket. 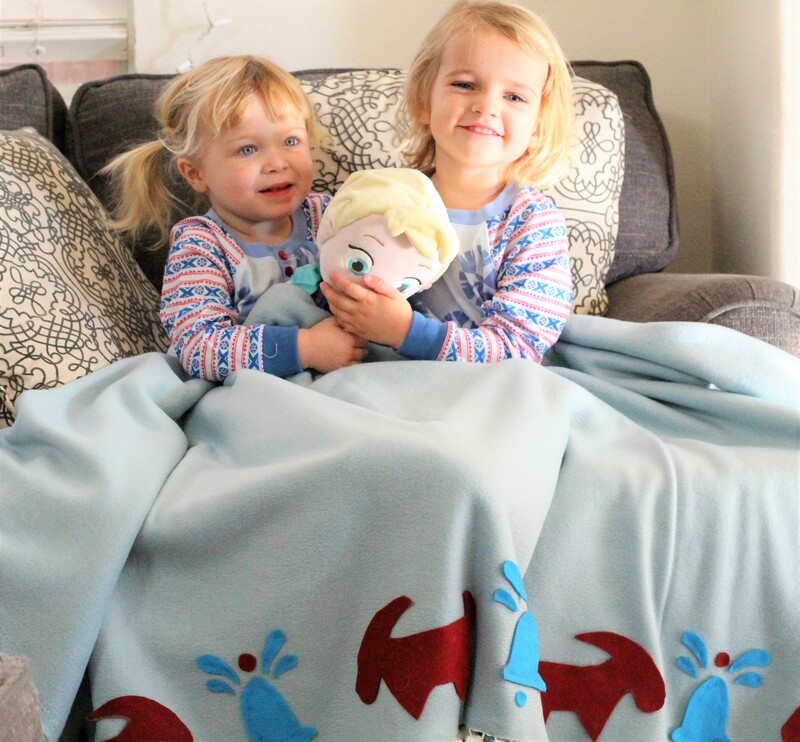 With this DIY no sew Anna inspired Frozen blanket you can enjoy a cozy night in with your littles, drinking hot chocolate, snuggling, and watching Olaf’s Frozen Adventure! For more Olaf’s Frozen Adventure fun, you can check out here on The Healthy Mouse a trip to Walt Disney Animation Studios where we learned about the making of Olaf’s Frozen Adventure, along with interviews with Josh Gad and the director of the short film.